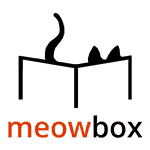 VANCOUVER, BC – August 14th, 2015 – meowbox.com, a monthly subscription box for cats, remains the one company left standing after a separate business offering a similar service, MeowBox.net, suddenly closed its doors on August 5, 2015. meowbox.com continues to operate and has jumped in to help MeowBox.net customers who were affected by the closure. meowbox.com won’t be taking over operations for MeowBox.net and can’t provide refunds for boxes that weren’t delivered; however, starting in August, they will be mailing meowboxes to customers with outstanding subscriptions that were paid for prior to July 14th. meowbox.com has also been granted access to MeowBox.net’s website and social media, enabling them to stop automatic billing and inform customers about the current situation. Information regarding the closure and answers to a variety of questions can be found at MeowBox.net. A year and a half ago, unbeknownst to one another, two companies offering monthly subscription boxes for cats opened their doors for business. They also happened to share the same name, creating confusion for customers and prompting CEO Olivia Canlas to seek a solution that would benefit everyone. MeowBox.net struggled to fulfill their obligations to their customers and eventually the two companies agreed that it should close. The closure of MeowBox.net provides an opportunity for meowbox.com to prove that it stands alone in its delivery of outstanding service and quality cat products. meowbox is a monthly subscription box for cats, stuffed with fun toys and yummy treats, delivered to your door. Every box purchased also buys a can of food for a cat living in a shelter. Find out more at meowbox.com.